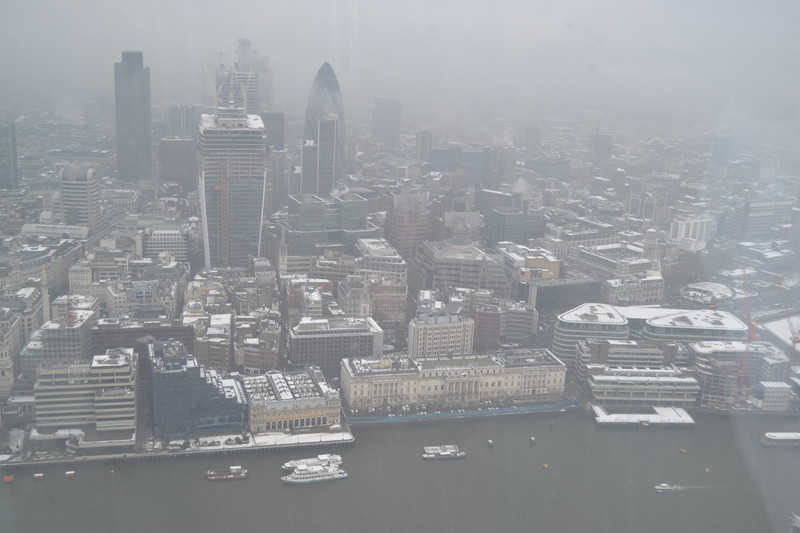 When it comes to getting the best views of London, visitors are spoilt for choice. Not only have you got Primrose Hill and Greenwich park offering views from a distance, you also have the London Eye and the historic Monument, which commemorates the Great Fire of London. 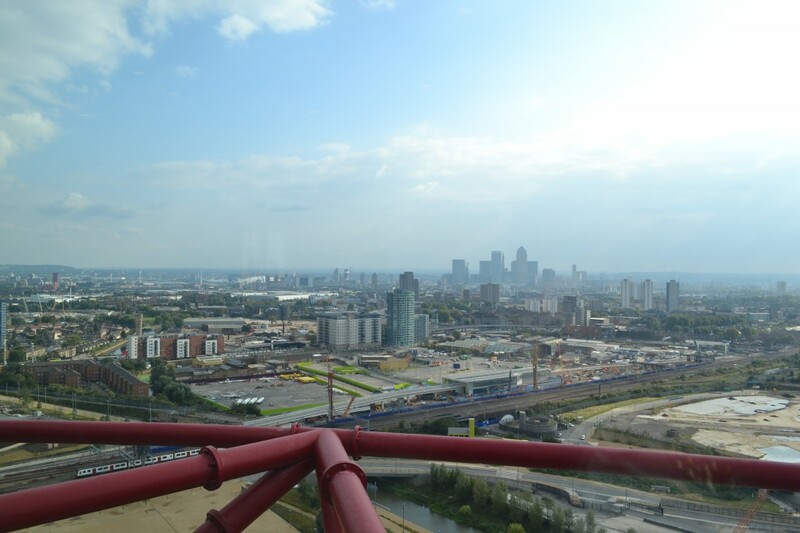 Two of the best ways to see the capital from above are The Shard and the ArcelorMittal Orbit – both of which were opened to the public in 2012. While The Shard is the tallest building in the European Union, the ArcerlorMittal Orbit (such. a. mouthful.) is the UK’s tallest sculpture. Both are open to the public year-round, and offer spectacular views across London. But when it comes to which is best, there are a few factors to take into account. Here’s an ultimate comparison of the two, taking into account design, views and gadgets. The Shard is located by London Bridge station, right in the heart of the capital. Within a few minutes’ walk you can be at Borough Market, Monument and Southwark Cathedral. Perfect for exploring more of South London’s delights. 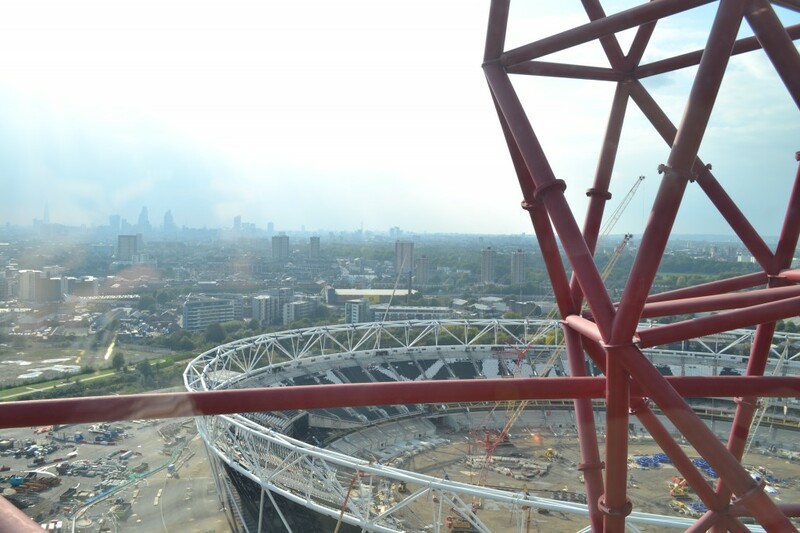 Meanwhile, the ArcelorMittal Orbit is over in East London, on the site of the 2012 Olympics. Just a short walk from Stratford station, I’d thoroughly recommend popping along to the site (now called the Queen Elizabeth Olympic Park), which is the size of Hyde Park. Open to the public, you can stroll around taking in the iconic stadiums as well as various restaurants and shops. Both are recognisable sights on London’s skyline with their pretty distinctive designs. The Shard is shaped like a glass pyramid and operates on natural gas from the National Grid, while the ArcelorMittal Orbit is…a bright red squiggle. Designed by Sir Anish Kapoor, who also conceived the idea for Chicago’s iconic Bean, the Orbit is supposed to symbolise ‘the energy and creativity of London.’ Its darkest point is at the bottom, while the lightest point is at the top, which is meant to represent the area’s up-and-coming character. Well, there’s really no competition with this one. 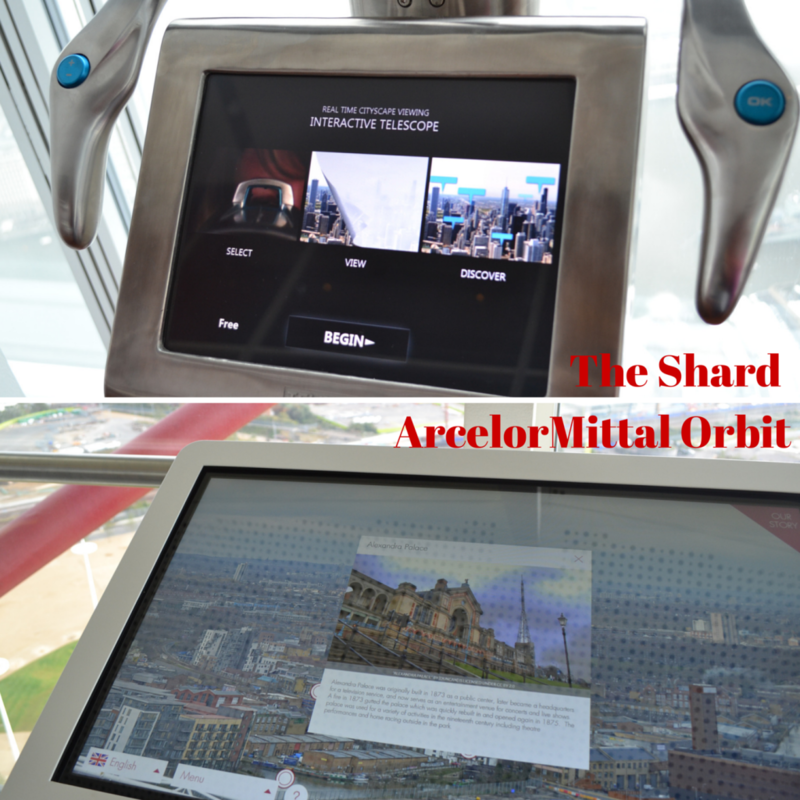 While the ArcelorMittal Orbit is 115 metres tall, The Shard towers above at a massive 306 metres. This is the real clincher isn’t it, really? No matter what it looks like on the outside, what everyone wants to know is: just what can you see from the top? The Shard, on the other hand, has a much more central location so you get the more typical London views. As it’s next to the River Thames, you are treated to views of Tower Bridge, the Gherkin, and even the Monument. Both have interactive screens which can be used to explore the city in more detail. The Orbit’s screen is much bigger and sleeker, like a huge iPad. However, even though it wasn’t that busy, it still felt like there weren’t that many dotted around to keep people entertained. The Shard: If you book in advance, you can expect to pay £24.95 for adults, and £18.95 for kids aged 4-15. On the day, it’s £5 more per person. 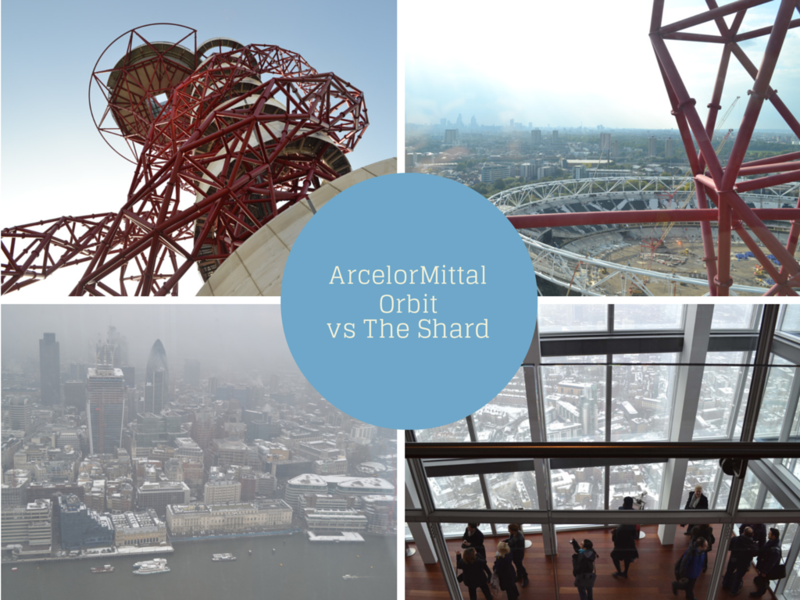 ArcelorMittal Orbit: The East London sculpture is almost half the price: £15 for adults, and £7 for kids. 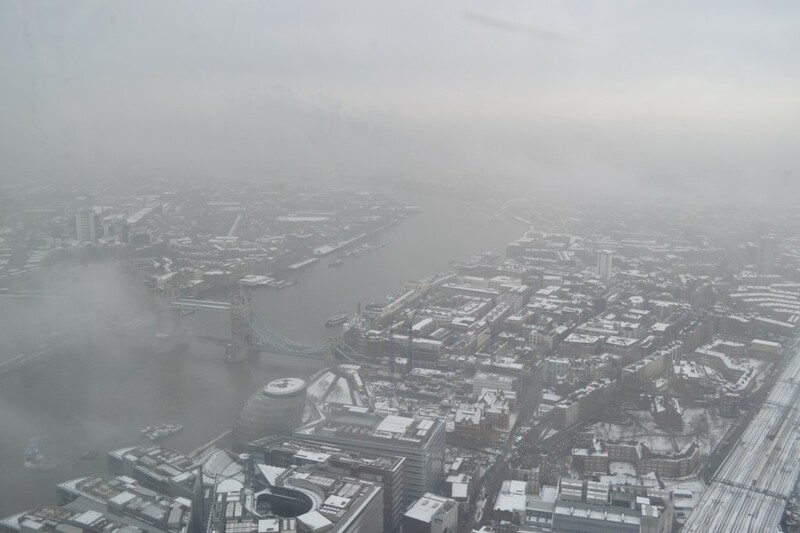 The Shard definitely wins out for both height and its traditional London views. If it’s your first time in the capital, I’d recommend paying the extra couple of quid so you can orientate yourself and feel more in the midst of things. Even though it’s not quite as tall, the ArcelorMittal Orbit (although it will forever be known as the ‘red loopy thing’ to me) has a special place in my heart for its quirkiness. True, the view might not be as good, but it’s exciting to see London from a different perspective. 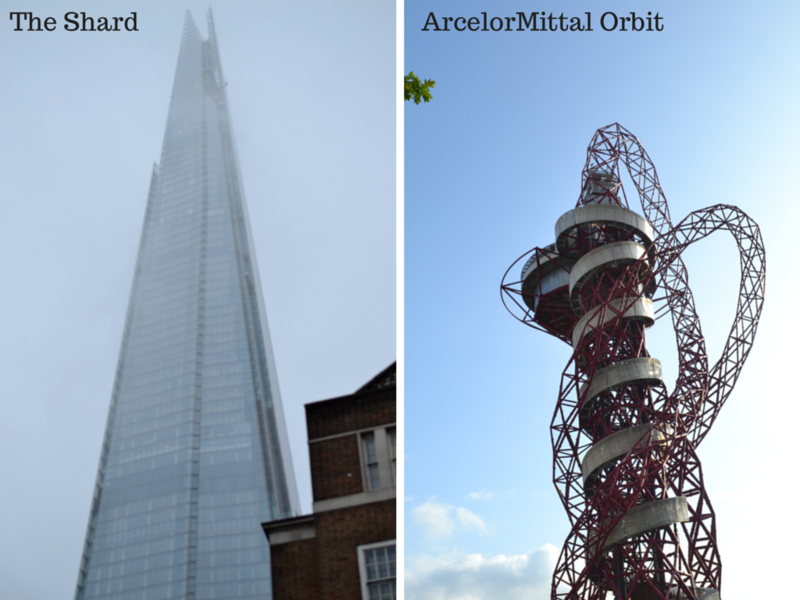 Have you been up The Shard or the ArcelorMittal Orbit? Which do you prefer?